This College is accredited by NAAC A+ (National Assessment and Accreditation Council) validity is 11 Sep 2022 and the score is 3.51 . G.H. Raisoni college of engineering is more about activities and function and has many events throughout its sessions and semester and many events are organized and are managed well and then academic is good in this college and has more good activities. The college doesn't have its own ground so no football and other games for us. Overall is good college. G.H. Raisoni collge of engineering, Nagpur is overall considerably good college and has more activities and activity based education system and academics are overall good . The college does not have its own college ground and outdoor activity is mostly not possible, overall G.H Raisoni college of engineering, Nagpur is good college. Eventful college with good surrounding and enthusiasm. G.H. Raisoni college of engineering, Nagpur is a good college and gives good exposure to project and innovation kind of things. This college includes many activities over the period of time and gives good exposure to talents. One problem faced is outdoor sports activities are not accessible as there is no college ground. This is one of the problems faced. 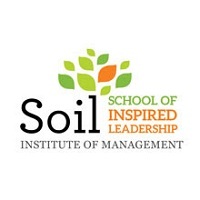 Academics in this college in this college is carried out at good level. Overall is a good college . 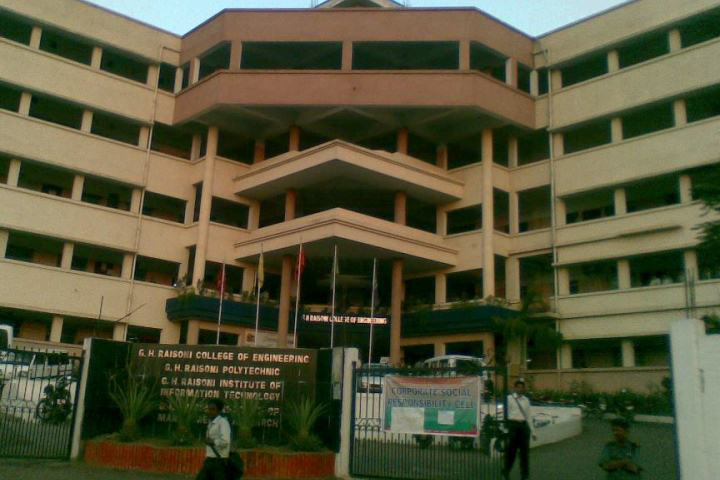 Raisoni is among the best autonomous institute in Nagpur. a very good teaching faculty and practical labs are well oriented . The methods adopted by the College is so proper and easy to understand by the students also the exam pattern is very good.. the cultural programs and other activities organized by the College is fantastic and well enjoyed by the students..
Infrastructure was good. Faculty always encourage to students. But the main thing about campus placement is poor only for electrical and mechanical engineer. No campus given to them . Their attention is only given to electronic and computer and IT students for campus interview. 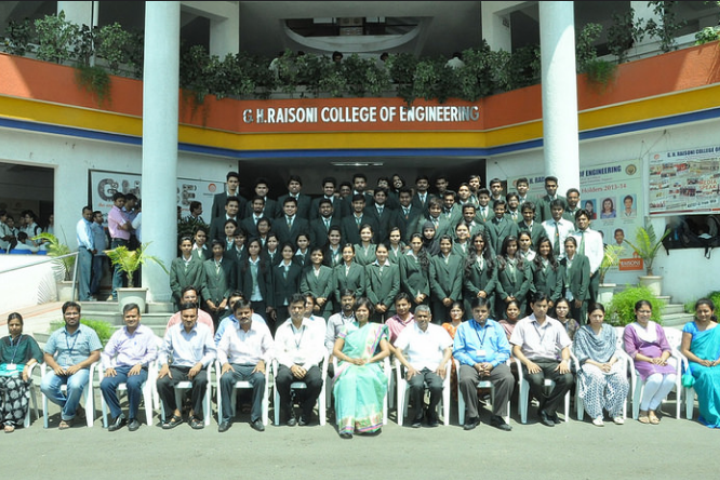 How are the placements for GH raisoni college of engineering ,Nagpur? Kya college MTECH ke liye intershipe provide karta hai? My score in Jee mains 64 , Can I get admission in this collage ? The GH Raisoni College of Engineering (GHRCE) is located in the city of Nagpur, in Maharashtra. This engineering college was the first of the esteemed Raisoni Group, extremely active in education in Maharashtra and some other states. A total of twenty- four educational ventures are run by the group, since its start in 1998. The portfolio now includes two full- fledged universities. 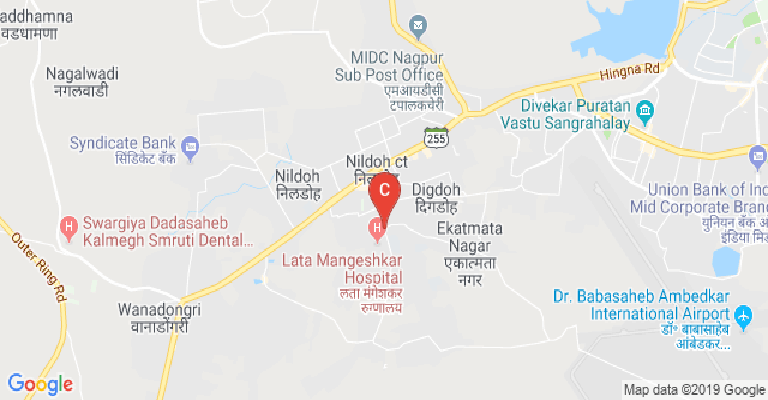 These institutes are spread out across the state in the urban agglomerations of Pune, Amravati, Jalgaon, Ahmadnagar and of course Nagpur, all of these in Maharashtra. In addition, there are institutes in Raipur, capital of Chhattisgarh and in Chhindwara, part of neighbouring Madhya Pradesh. 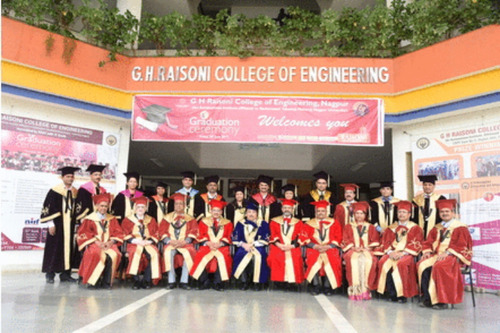 Being the first of this group, the GH Raisoni College of Engineering was set up in the year 1996. This was two years before the group was formally set up. The GHRCE is affiliated to the Rashtrasant Tukadoji Maharaj Nagpur University. As the name suggests, this university also hails from Nagpur. This affiliation though, ensures its approval from the UGC (University Grants Commission). The technical courses here, have also been ratified by the AICTE (All India Council for Technical Education). Further, the college has also been accredited by both the NBA (National Board of Accreditation) and the NAAC (National Assessments and Accreditation Council). It has earned an A grade rating in the latter. A separate IQAC (Internal Quality Assurance Cell) has been created to this end, to ensure that all the terms of the NAAC are complied with. An AQAR (Annual Quality Assurance Report) gets generated to quantify the results. The college is also a key facilitator of a Ministry of HRD initiative with the World Bank. It is a programme titled TEQIP (Technical Education Quality Improvement Programme). Courses are offered here at the GH Raisoni College of Engineering at both the UG as well as PG levels. At the undergrad level, B. Tech programmes are available for the engineering areas of- Civil, Mechanical, Information Technology, Computer Science, Mechatronics, Electrical, Electronics and for Electronics & Telecommunication. At the master’s level, the courses get more technical. So, the M. Tech programmes are available for the areas of- Electronics Engineering, Heat Power Engineering, Environmental Engineering, Structural Engineering, Transportation Engineering, Communication Engineering, VLSI, Computer Science & Engineering, Integrated Power System, Power Electronics & Drives and for CAD/ CAM (Computer Aided Design/Manufacturing). In addition, one may also go for an MBA from here, at this stage. The entire academics at the GHRCE is run by a cohort of nine departments, each with expertise in its own area. Seven of these departments are for the areas in which the B. Tech degrees may be pursued in here. Another is the one for the MBA. Uniquely named, the ninth one is called the First Year. It deals with the English language courses and the fundamental sciences of physics, chemistry and mathematics. Digital learning is given much importance here, as a mark of how academics and industry will be shaped up in the near future. Several of the sessions get recorded on the college’s own Moodle network, to help students learn at their own pace. The GHRCE has also signed up for the NPTEL (National Programme on Technology Enhanced Learning). The library here is one of the best stocked within the region. Besides the physical books on display, it also provides digital access to en number of international academic journals for research and academic purposes. Research has been another area of major input at this college. For this purpose, there is the dedicated Research and Development Cell. The GHRCE has several centres of excellence opened on campus. Corporate largesse has helped fund some of this. It has been possible due to the college’s strong industry- academia networks. These centres of excellence have here been for the areas of- Bio Medical Engineering, Data Science, Internet of Things, Cloud Computing, Signal Processing, Agriculture, Manufacturing, 3D Printing, Product Design, AI & Machine Learning, Smart Grid, Renewable, Sustainable Transportation, Environment, Smart Structure, Vehicle/ Automobile and for Batteries/ Electric Vehicle. The NIRF (National Institutional Rankings Framework) has recognized such research credentials by placing the GHRCE at rank 67th among engineering colleges, for all of India in 2017. Several of the faculty members and students have even been published at respected journals or other platforms. 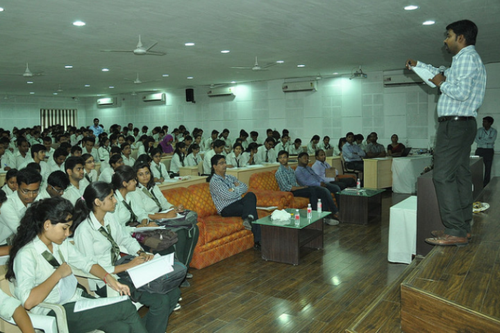 Periodic Staff Development Programmes are also held on campus. Some of these may even be externally attended. This is especially a common trend for the academic staff. 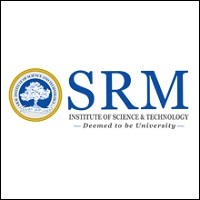 Some of the leading institutions where the faculty members have been sent for trainings include the likes of- IIT Kanpur, IIT Bhubaneshwar, KJ Somaiya College of Engineering in Mumbai, MITS in Gwalior, IIT Kharagpur, IIM Indore, IIT Bombay, VNIT Nagpur, IIT Madras and the Yamaha Training Academy in Pune besides others domestically. In addition, some have even been sent abroad to the University of California in San Diego, and another to Portland in Oregon, both in USA. This College is accredited by NAAC (National Assessment and Accreditation Council) A+ validity is 11 Sep 2022 and the score is 3.51 . Medical/Hospital :The medical facility is provided to all students Dr. Bora is available on Campus. Various medical camps are arranged regularly.